Damnoen Saduak floating market has a worldwide fame for its beauty as a market on the water. This market is located in Ratchaburi province at around 100 km from Bangkok and can be reached by car in around one and a half hours. Around 150 years ago, during the reign of King Rama IV, a canal was dug out at Damnoen Saduak. Sampran Riverside (formerly known as Rose Garden Riverside) is a family-run property close to Bangkok, where visitors can experience authentic Thai way of life and learn about our local wisdom. 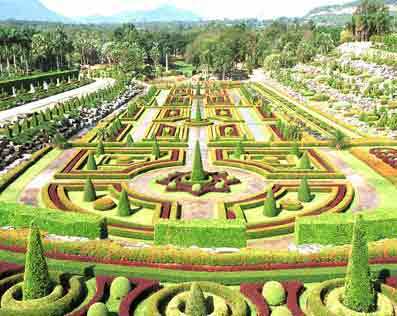 For decades it has been considered one of Bangkok’s favorite attractions because of the obvious dedication to preserving Thailand’s natural and cultural heritage by engaging with the local community. Arrive Bangkok Airport, our driver meet & asst. with warm welcome "Cold drinking water + Cold towel + free local sim-card" on arrival, Then transfer to check in at hotel. Khao Kheow is a clever zoo. It’s not the sort of place where the animals’ prowl up and down looking bored out of their skulls. Here you can get as close to the animals as you’d probably want to. The animals’ homes are cleverly woven into the stunning natural surroundings, so at times it’s more like you’re on safari. There are elephants, penguins, hippos and big cats, everything you’d want from a trip to the zoo. 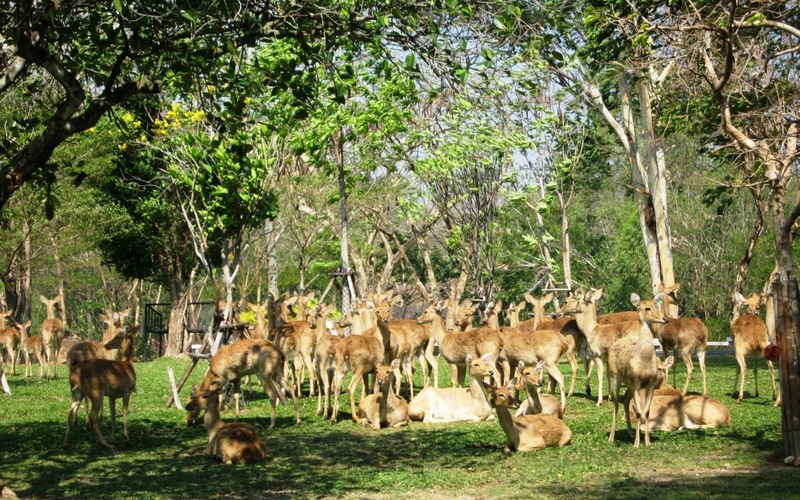 Establish in 1978, Khao Kheow was a part of the Zoological Park Organization of Thailand. 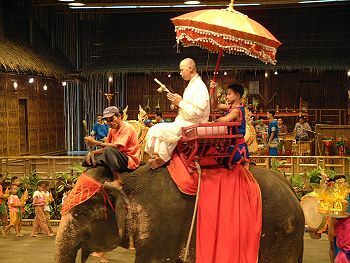 It is now one of the biggest open zoos in Thailand, with more than 200 different kinds of animal. Sriracha Tiger Zoo is one of famous zoo in Chonburi, Thailand. Although its name is tiger zoo, there are not just tigers inside, but there are in fact a lot of animals in the zoo, such as camels, ostriches, crocodiles, elephants, and so on. However, the tiger word is included in its title because tigers are the first animal that the zoo focused on. 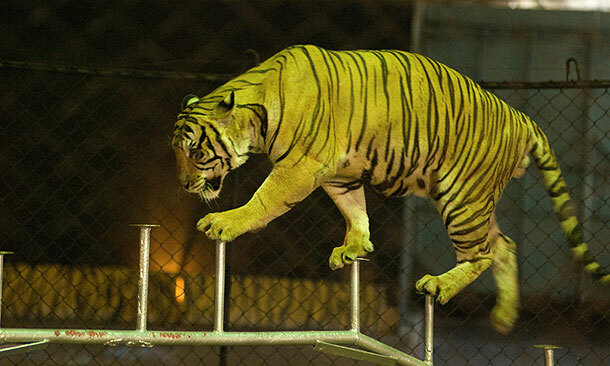 Sriracha Tiger Zoo also presents a variety of tiger shows, tigers with fire-hoops, tigers climbing a ladder, for example. It's just like an interesting circus show, so this would make both you and your kids enjoys a lot. 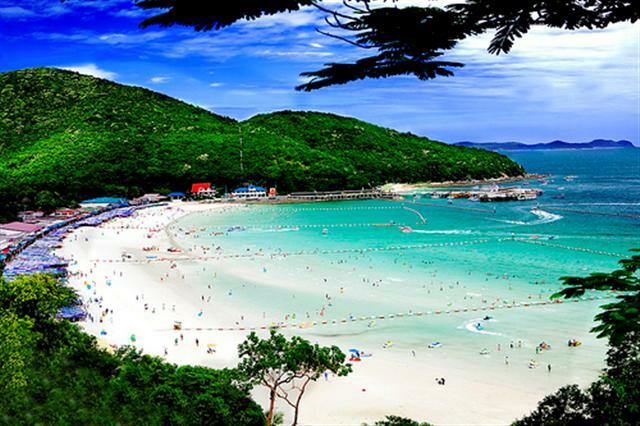 Koh Lan offers a change of pace from the busy beaches of Pattaya - an island well known to Thai and foreign visitors for its tranquil surroundings, beautiful beaches, glass-clear waters and extensive coral. 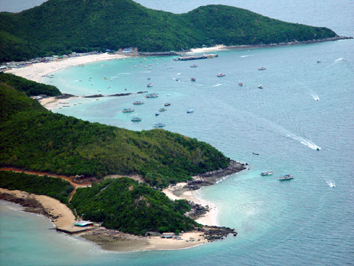 This landmass of four square kilometers, just seven kilometers from Pattaya Bay, sports three beaches and is Pattaya's closest island just a 45-minute boat ride from shore. Any other services not mentioned in Price Inclusions above. Please contact us for the special package. We will quote the special package rates to you after you submit the enquiry.